To say I’m busy is an understatement–I almost have more posts than I have days and time! That’s good, it just means I’m a little behind and always have 14 drafts waiting. 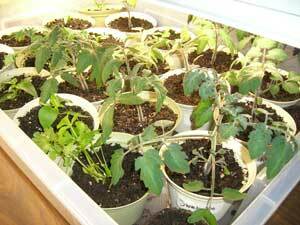 These are my vegetables I started from seed. These pics were taken at the end of March. 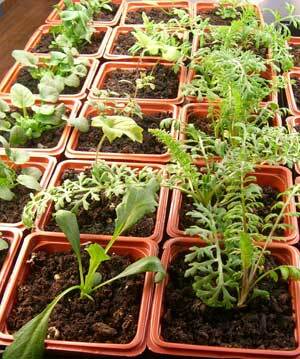 I’m also trying to grow some perennial flowers from seed to put in my front garden bed. This is what they looked like at the end of March. At this stage and size, it’s time to thin. 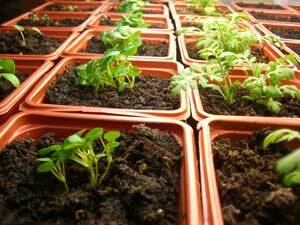 I plant 2-3 seeds in each pot, but to give the plant the best chance of growing healthy and strong, it’s important to remove the competition. Steel yourself, take your scissors, and make some tough choices. My goal is to grow the shortest, stockiest plants. So I almost always keep the smallest one! 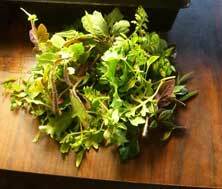 Here are my trimmings. Looks like a lovely salad, or a plant graveyard. Two weeks later (mid-April), and check out the growth! I have been watering with plant food/fertilizer. Look how lovely my tomatoes, peppers, and parsley are! Notice how the tomatoes have thick stems and are spreading out more than up. I think this batch is my best yet! Out in the garden, my broccoli transplants are growing well. The peas finally came up. 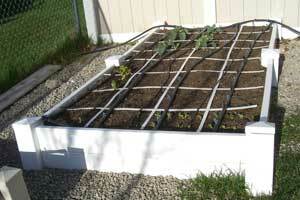 I just added an awesome trellis to this bed, and updated my irrigation. Watch for those posts (that makes 16 drafts!). And last but not least, my onions. When they were a little shorter than this, I fertilized them. They LOVE IT! Two weeks later, and they are twice as tall. I’ve found fertilizer is really the key to getting great onions. 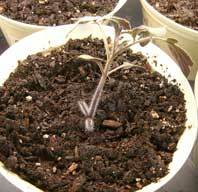 The faster the “leaves” grow, the more time they have to develop bulbs. Everyone who sees this asks “An entire bed of onions?” Yes, it’s true. Last year I stored 5 “legs” of onions, and we used them all by January. I had the extra space, so I decided to grow something I knew we’d eat. So far I buy whatever I find at walmart in sets–packages of little dry onions. They’re okay, but not great. I fertilize when 6″ and 12″ tall, generously. What s the name of your storage onion?How often do you fertilize them? Yes, about 3″ in the photos. Thanks for the garden update. Everything looks wonderful. I will be teaching gardening for my Relief Society in 2 weeks. 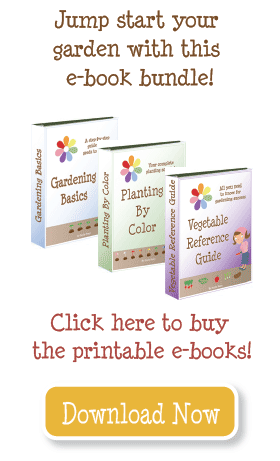 Do you have any handouts I could share with a big note on how to sign up to plant by color? Emily, I say way to go with the onions. 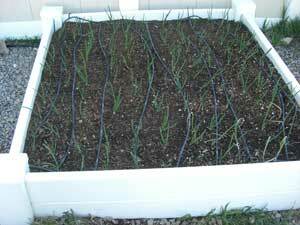 I to like onions and plant about 100 transplants every year and they are usually gone by mid-winter. What size are they? 3″ it’s hard to figure out from photos. I bought small pots for $1 each at WalMart. I have used them for 3 years now–I’ve been very happy. 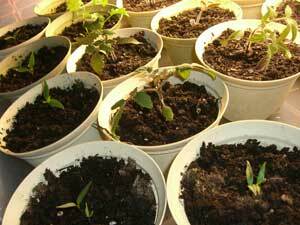 The nice thing–I never have to transplant to bigger pots. Wow that is an organized way of starting seedlings I learned it hard way by pouring packets into a planter. I did manage to save majority of them but it was a lot of work and stress. Now I have started using yougart cups and disposable glasses to start seedlings. I transfer them to disposable glasses once they outgrow small cups. I am looking for a perfect size of pots so i dont have to keep moving them. I want to know what size of pots you use. I would assume they can be used over and over.